Our skin needs to be taken care of consistently in order to look beautiful. We need to practice an effective daily skincare regimen, use the right skincare products and consume the right amount of nutrients every day in order to upkeep our skin, teeth, hair and nails. When we do not practice such a regimen, we are often faced with oily or dry skin that often starts to scale, break out in acne, develop dark spots or show signs of premature aging. These factors not only affect how we look, but also has a major impact on our self-esteem – we all know that first impressions matter and we want to look our best when we meet someone to, in order to convey a better first impression towards the new people we meet. 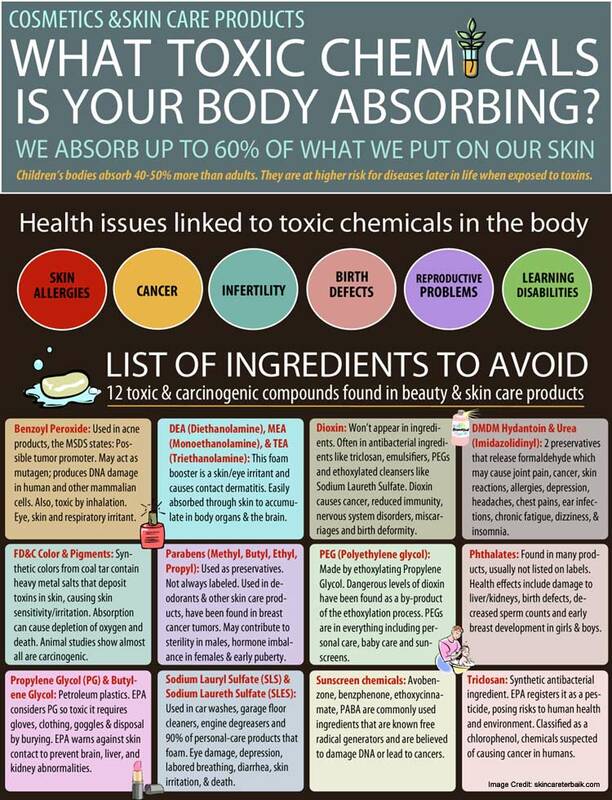 The majority of beauty products that are available for purchase in pharmacies and at local stores often contains chemicals that have been developed to target certain problems with the skin. If these products do not work, a doctor visit is also often an option, which leads to the prescription of a chemically-formulated drug that works in some way to help clear up acne and oil. Unfortunately, both the products and the drugs can have negative effects on the body – both internally and externally. Data released by the Environmental Health Perspectives report that one specific ingredient that are commonly found in beauty products, phthalates, have shown to be potentially harmful to the reproductive process. They report that a research group monitored the effects of phthalates among a group of rates. Evidence was found that exposure to this ingredient causes pregnancy outcome alterations, birth defects in the genital area of males, as well as a decrease in sperm count. They continue to report that this finding may provide more insight into the fact that reproductive problems among men has doubled between the years 1970 and 1993. During this period, a large number of beauty product manufacturers have started to use phthalates in their products. 1, 4-Dioxane – This ingredient is usually not listed among the ingredient list, but has been linked to an increased risk of develop cancer. Benzophenone – This ingredient is often found in nail polish and lip balm, but has been recently been linked to certain types of cancer. Butylated compounds – Prohibited by the European Union, these compounds have been linked to organ toxicity, as well as endocrine disruption. Carbon Black – Often found in eyeliner, liptstick and mascare, carbon black has also been associated with a higher cancer incidence. These are only a few of the potentially harmful ingredients that are found in our everyday beauty products – including shampoos, facial products, nail polish, makeup and more.